Friday the 13th is coming, a day for all things supernatural. Even though she knows there will be a time for the dead will rise she has other things on her mind – a date with Lieutenant Luke, Pandora believes they can have a night together where Luke is once again a flesh and blood man. It doesn’t go to plan and Luke mysteriously disappears. Pandora must figure out how to unlock the secrets of the mansion. That means delving into the past to figure out what the builder of the mansion, Dr Edmund Barrett was up to when he died and exactly what happened to him. There is a powerful force in the house, something terrible is happening and if Pandora is going to defeat it she will have to face it head on and use all those powers that are hers to command as the Seventh. This is the third instalment of the Pandora English series. Pandora still comes across as very shallow and insipid as she stumbles through her days as fashion assistant and nights dealing with the supernatural (though much of that is her running away). This plot line is more interesting that the previous one, the threat is much bigger and somewhat more interesting. Great Aunt Celia is becoming more and more interesting and part of me would like to know more about her. Deus also plays a bigger part and the dynamics of how he fits in are interesting. I think if you like fashion and the supernatural, you may like this book, this series, there are plenty of fashion descriptions for the fashionistas out there. When the first book came out it was one whose place on the shelf was uncertain as it was considered a crossover title (YA or adult). Something about it’s style means it fits better in the YA category for me, though with Pandora being 19 it could be argued that the book may fit better in adult. I will leave that to your discretion. One for those interested in clothes and the like. Pandora English is slowly adapting to life in Manhattan. Her life though is different to most. She has two very different parts to live – that of fledgling employee at Pandora Fashion magazine and being the Seventh, whatever that means. her great Aunt Celia and ghostly Lieutenant Luke try to help her but there are just some things she has to do on her own. Not for the first time her two worlds collide, when fashion designers mysteriously disappear. 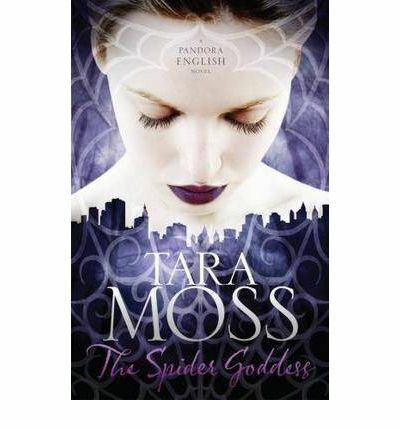 is this in some way tied to the spider Pandora caught at a fashion shoot, or to the new designer no-one has really seen? This is the second of the Pandora English books and wasn’t as frustrating a read as the first one proved to be. To me Pandora seems a bit weak, no where near as strong or determined as I’d expect of someone who has recently discovered they have supernatural gifts. In some ways it seems as though Pandora falls from event to event with no real control. So much of the story seems thinly constructed, a lot of surface but no real depth of characters. I will say this though, if you have an interest in fashion and the paranormal this is probably right up your alley, so give it a shot. 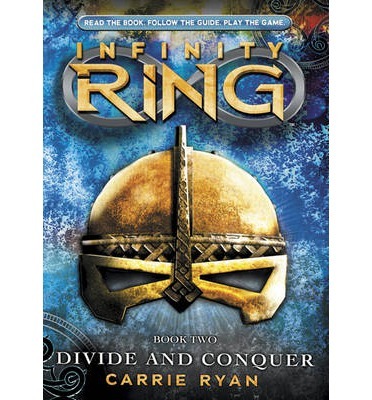 Dak, Sera and Riq find themselves in medieval Paris as thousands of Vikings are preparing to attack. The Parisians are fighting back but won’t be able to hold out forever. The three time travellers need to figure out what they are supposed to change, they think it is one thing, but what happens if they are wrong? Things only become more complicated when Dak disappears and ends up fighting on the side of the Vikings. If he is going to survive then he is going to have to find an ally amongst the enemy Vikings. The second book in the series is a fun read. Dak, Sera and Riq think they have a better grasp of what is going on. Dak thinks he knows what needs to happen but he hasn’t taken into account that his knowledge of history comes from what has happened. He needs to learn to see things from a wider perspective and his story arc in this book gives him that opportunity. Sera has her own moments of self-discovery – the chance for her to grow a little. She also gets to spend some time with Riq. Finally they begin to work more like a team. The historical aspects of the story are fascinating. Some events they have chosen are clearly more well known than others but it makes for a no less interesting story (in fact that may even make it more interesting). The action is fast. The decryption gritty and engaging. Each of the main characters is slowly revealing more of themselves. This is a fun read and I can’t wait to see where they take this series. Some days you just need to find something that causes you to think, or just makes you laugh. At various times this man has made me do both, sometimes at the same time. Here is the book trailer for the new Ally Condie book, Reached, the final book in the Matched Trilogy. 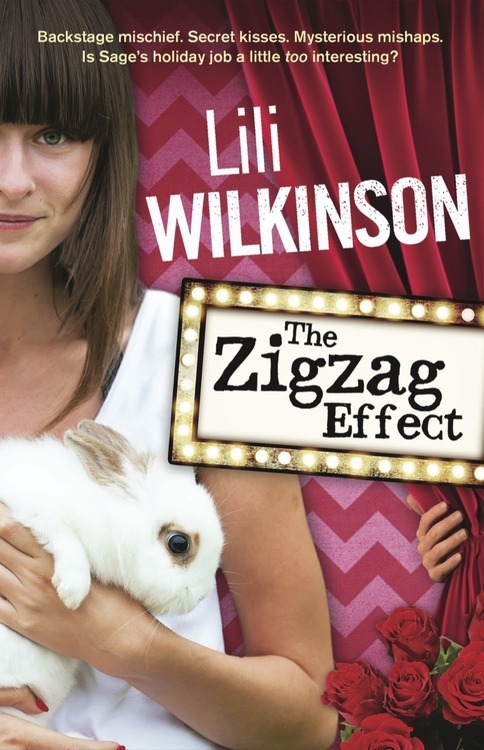 April 2013 sees the release of Lili Wilkinson’s next book, The ZigZag Effect. Lili’s books are fun and engaging and I am looking forward to this next one. Dak Smyth is a history buff and his best friend Sera Froste is a science nerd. 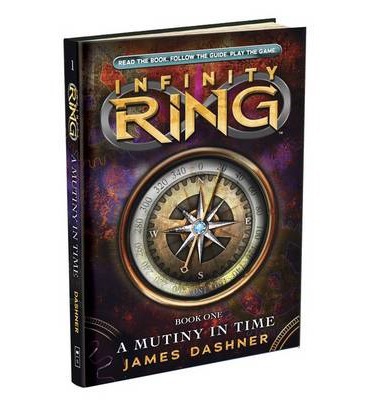 One day they sneak into Dak’s parent’s lab and find the key to time travel, a device called the Infinity Ring. The first activation of this device triggers events they couldn’t possibly have predicted. Dak’s parents are lost in time. Dak and Sera find themselves caught up in a war for the fate of humankind. The two are recruited, a little reluctantly, by a group called the Hystorians, from whom they learn that history has gone off its course. This deviation is disastrous, not just politically but they also believe it is tied into the the increase in natural disasters. It is up to Dak, Sera and young Hystorian Riq to fix these breaks. They need to track them down and then figure out how things went wrong. This sounds like a grand adventure but things soon become very real and very dangerous. This is an intriguing plot idea, not one that hasn’t been seen before but this deals with it in an interesting way. The world Dak and Sera inhabit is different from ours, for example Columbus didn’t discover America. This is a fun concept, maybe more so for those with a bit of historical knowledge. Dak is a history buff, he has a bad habit of spouting random information at the most inopportune times. His parents are scientists who are working in secret, keeping things even secret from him. Sera is a genius, it is she who figures out how to make the Ring work. She is the girl of calculations and science. They aren’t alike but accept each other and have a friendship made stronger by similar experiences. Dak is impulsive that is his weakness, he is eager to experience the things he has only read about. Sera is more cautious but that can put any chance of them fixing the breaks at risk by not being willing to act. Riq is their reluctant companion and has a good head-butting relationship with Dak. Riq is able to marry the two extremes of his two young companions. I enjoyed this. I liked spotting the differences to our reality. You might expect the results of these breaks to jar but they don’t, you just accept the fact that this world is like an alternative reality of our own. I look forward to the rest of the series.